​Maybe it is easy for me to say as I have over 30 years experience, a huge stock of images and video clips plus some fairly good contacts in the business. However, even for someone just starting out, there are many ways in which to get yourself seen and to also earn good money with your camera. Please note: This site does not in any way encourage tacky "get rich quick" schemes. Any advice, tips and photography money making ideas that we give (for earning money from photography or other avenues) will require some hard work and a little dedication from you. This page will grow as we continue to build All Things Photography. However, we wanted to get it up and running now. It doesn't matter what stage you are at with your photography or what experience you have. If you can take a half decent photograph, you are on the way to making money with your camera. It may take time to get started, but if it was that easy, EVERYONE would do it. Now, obviously as a beginner, you won't be going out and doing society weddings or anything (are you?) at this stage. You need to get to know your camera, how it works and then start to use it to your best advantage. The first thing you should maybe look at is selling your images as stock as detailed further down the page. If you are already established and raring to go, maybe this will interest you. One of the secrets to growing your photography or video business is knowing how to make the best use of the internet. The internet is still a massively growing area with so many opportunities you can't imagine but you do need to learn if you plan to make it work. I have bought, paid many thousands of pounds for and studied many facets of the web over the past decade and have been using it to my advantage ever since. For example, as soon as aerial photography and video started becoming popular, I set about cornering the (online) market in my area. Now I am in first place on Google for "Aerial Video Dorset" (after the ads and at the time of writing this). This is locally so results may differ where you are. ...and many more. I have now more than recouped the £10k + needed to get started in aerial video work (equipment, licenses, insurance etc). Before I created the Wedding Photography Blueprint DVD's in 2011 (below), I spent over £2000 on marketing materials. These taught me pretty much what my course above will teach you for free. Also, the course above is now more relevant for today's internet. Maybe wedding photography is something that hasn't crossed your mind before. Maybe your confidence and experience is growing so perhaps you should think about it now? Wedding photography is, and will be for some time, one of the most lucrative aspects of photography that is available to the masses. But... you MUST know what you are doing! An established professional wedding photographer will earn anywhere between £500 and £5,000 per wedding. This is dependent on the size, duration and location of the wedding as well as what skills and experience they can offer. We wrote, filmed and produced one of the, if not THE most in depth wedding photography training DVD's available. It takes you through absolutely every aspect of shooting and processing a wedding as well as all the business aspects too, so you even get help getting the work in. Not only that, you also get 2 eBooks for FREE as a bonus (Business and Stock Photography) so this really is a business in a box! Learn how to start your own profitable, full or part-time photography business with nothing more than a DSLR and lens with our new Photography Business eBook. Please note that this book comes free with the Wedding Photography Blueprint DVD's above. They also include the "How to Sell Stock Photos" eBook below. 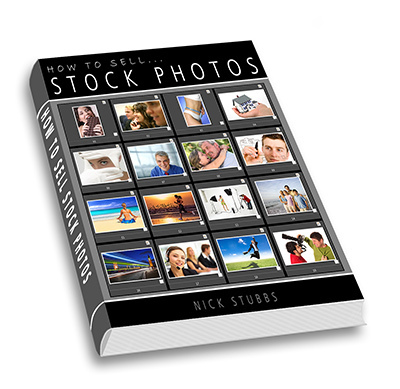 Learn how to sell your photos and create a monthly, residual income with our new eBook on How to Sell Stock Photos. EARN $$$'s – If you want to sell either or both of the above books on our behalf, you can earn a fantastic 50% commission, you can find all of the details here: Click here to help us to sell "How to Sell Stock Photos" and "The Business of Photography"
This is probably more for the more experienced Digital SLR user, but is by no means out of reach for newbies. If you are fairly confident with your camera and need new direction, motivation or guidance on how to start up your own photography business, this could be for you. ...as well as the one thing that actually brings me those jobs, property Photography. Rather than battle it out with hundreds of other photographers for work, by learning a niche and specializing in something not many photographers do, you can grab so much of the action. Ok, I am new so where can I sell stock photographs? Sell photographs for money? How do I compete with all the professionals and what do I do? Well, think about it. The large stock agencies sell high quality photographs by professional photographers like those above to large, wealthy companies! So who sells photos to the smaller businesses that can’t afford the large prices? You do! If you have any decent photographs on your computer or are willing to go out and take a few, I will show you where to send them. You will need good photographs of everyday subjects that I will cover in a minute. If you have a digital camera of 10 mega pixels or more...read on! Now this is a system that I for one hadn’t looked at before. I have always put my stock photographs on with the large agencies and they make good money but not that often and the competition is fierce. Corbis had over 3,500,000 images on their files when I started. How do you compete? I came across a rapidly growing company that charges very low prices for its photographs. They charge around $139 for 750 images in a month if you are buying. Now this means there are people constantly on this site downloading photographs and they need more. They need a lot more images to keep up with the growth. As a submitting photographer, you only get 38 cents per photograph downloaded at Shutterstock. However, each buyer will download a minimum of 750 images each month therefore thousands of images are downloaded daily. If they are just sitting unseen on your PC, what do you have to lose? When I started, I tested this site and referred a photographer to them and with just his 35 images of motocross bikes online. He had sold 9 images in the first 6 days. I tried it myself and uploaded a sunset picture and in 3 days I had sold 3 copies. The way I see it, and according to the company’s forums, if you have 1000-2000 images on their database, you should easily earn around $600 per month. All you need is 100 downloads a day and you have it for life! Or all the while the company trades. One Year On Update: I now have just over 1,200 images with them and have sold over 23,000 photos. I am earning around the above figure every month and it just seems to be getting better. Three Years On Update: I still have about the same amount of images online. However, I have over 3,000 images waiting to be uploaded…busy, busy. I have now sold around 50,000 images at Shutterstock alone as well as countless video clips. The photographers that I have introduced to Shutterstock have sold a combined total of…wait for it...829,191 images! The great thing is that they have now started a new system and a bunch of new sites whereby you will earn up to $2.85 per "on demand" image downloaded. It just gets better. Your images get uploaded here automatically so there is less work for you! Plus…If you sell an image with an "extended license", you will earn $28! I expect to hear from professionals saying this is bad for stock photography, but I disagree. This is just another sector of the market that caters for the beginner and amateur photographer, as well as the smaller business wanting to buy stock. 10 year update: Yep, still making money each month and I have rarely uploaded anything for 7 years or so. I am now (as of 2015) picking it back up again and uploading a ton of new stock images and video clips. So, if you have any images of 6MB or more that would be suitable, and they are just sitting on your PC, you are wasting money. I uploaded 50 yesterday and am waiting for their approval. They are the same as the ones I have on with a larger agency. I will earn a lot less, but it is still more than I had before yes? Click the links below to Shutterstock and three other popular, high selling agencies. Sign up and registration is genuine and absolutely free so you have nothing to lose. The beauty is that once they are there, you have an income for life! Once you have registered, look at their "Best sellers" and other types of photos that they have and start uploading. Use the forums for advice and start earning. How much are your pictures earning you at the moment? You could also check out our (currently free) membership site at ATP Members and read our huge stock photography training section. This goes into every detail you need to know to start earning with stock photography.